Create a BUZZ! 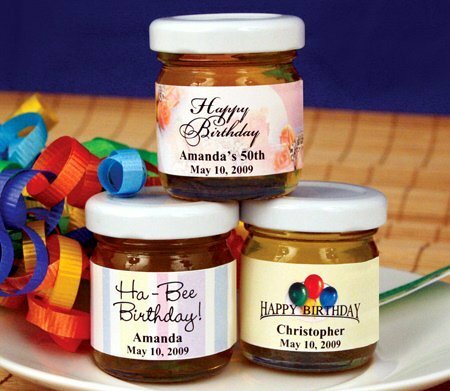 Your party guests will be buzzing with delight when they receive these fun honey jar favors. 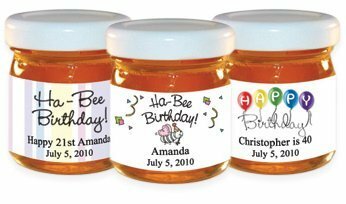 Choose from over 50 different unique birthday designs with some clever captions like "Ha-Bee Birthday!" 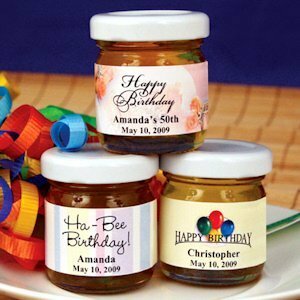 You may indicate the personalization at checkout for a truly customized favor. Jars measure: 2"h X 1.75" and include 1.5 ounces of Kosher honey. NOTE - You must order at least 24 jars for any given design.